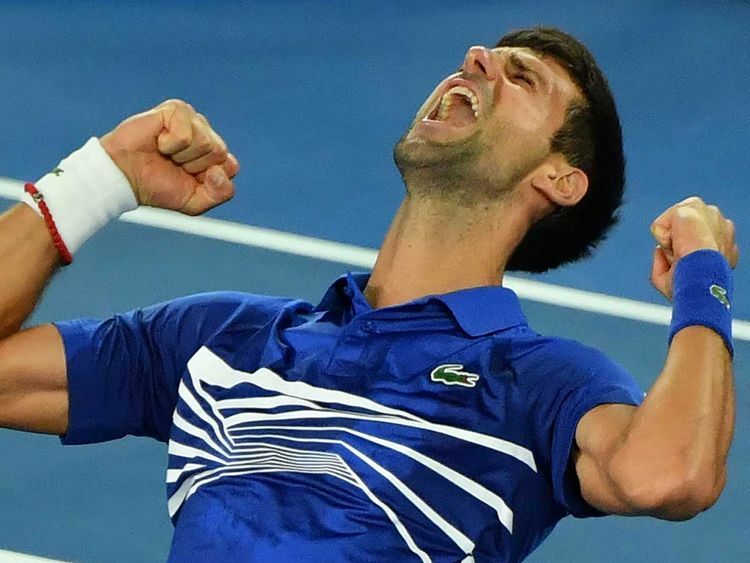 MELBOURNE, Australia: Novak Djokovic has won his record seventh Australian Open championship and a third consecutive Grand Slam title by beating Rafael Nadal 6-3, 6-2, 6-3 in the final Sunday night. Djokovic improved to 7-0 in finals at Melbourne Park with a remarkably dominant and mistake-free performance against Nadal. When they met in the 2012 Australian Open final, Djokovic needed 5 hours, 53 minutes to win. This time, it lasted just a bit more than 2 hours. Djokovic finished with 34 winners and only nine unforced errors. He reduced one of the greats of the game to just another outclassed opponent - just a guy, really - and one so out of sorts that Nadal even whiffed on one of his famous forehands entirely. This was a remarkable performance and a remarkably lopsided result and it allowed Djokovic to make history. He broke a tie with Roger Federer and Roy Emerson for most Australian Open titles. He added this to previous triumphs in Melbourne in 2008, 2011, 2012, 2013, 2015, 2016, along with four at Wimbledon, three at the U.S. Open and one at the French Open. A sore right elbow cost Djokovic the last half of 2017, contributed to a fourth-round loss in Melbourne a year ago, and then was operated on. He is once again at an elite level - and the gap between him and everyone else sure seems to be growing right now.